A team of 2 Italian guys has launched a new Kickstarter campaign with the innovated approach to the wireless phone charging stations. Every year more and more smartphones feature a wireless charging option. 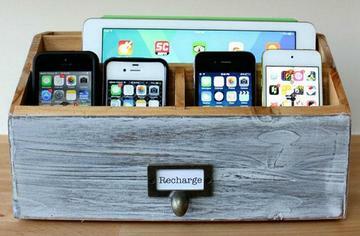 However, their docking stations have only one primary function - to recharge your phone’s battery. 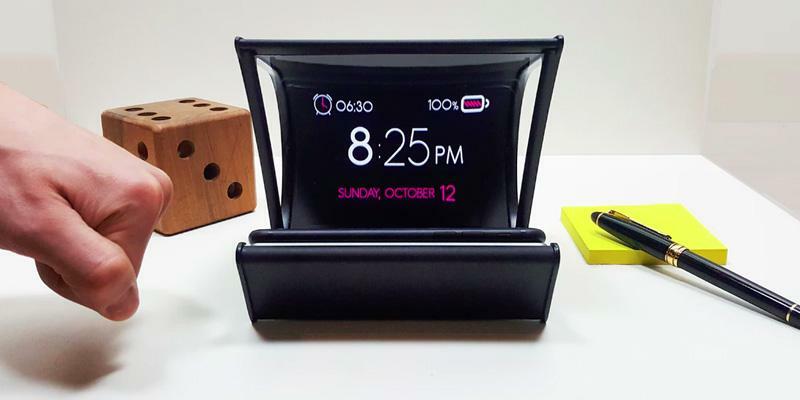 The Reflexbox 2.0 crowdfunding project is built around the idea that a wireless phone charger can provide you with more than just that. 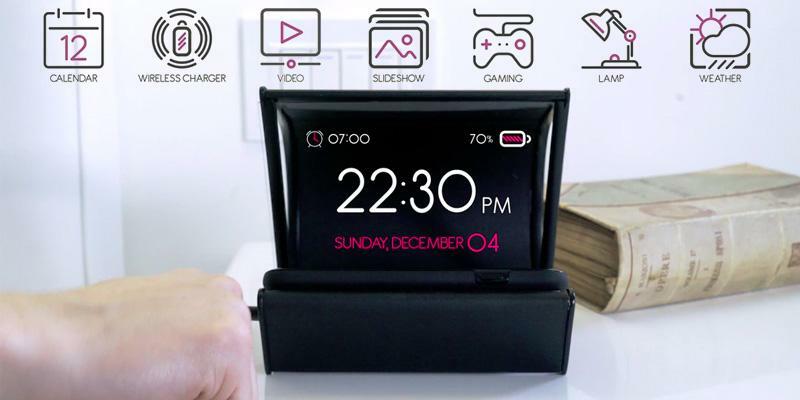 The Reflexbox 2.0 charger has a screen that reflects the image from your phone, placed in the charging bed. Such design allows you to check out the current time, date, weather and other information from your phone without taking it off the stand and interrupting the charging process. You can also use it for displaying photos or videos from your phone or even activate the lamp mode. In it, the phone will produce the soft light that won’t hurt your eyes, while you are still half-asleep at night. 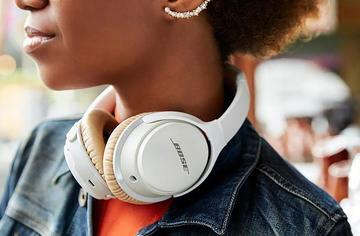 The charger employs the most supported Qi standard for wireless charging and is powered up with a Micro USB cable. As for the image projection, the Reflexbox 2.0 has a special design with a transparent polymer film. Placed within the frame, this film reflects the picture from your phone’s screen onto the inner plastic part of the frame. By going through the film, the projected image size is increased by approximately 20%, allowing you to get a better view on the picture details. Also, as the image is mirrored, you’ll also have to install the special Reflexbox app on your phone. Besides, the app relies on your phone’s gyroscope in order not to show the text or image upside-down picture. The charger has a built-in shock sensor with adjustable sensitivity. By tapping once on the surface next to the charger, it will turn the phone on and show the current time. By tapping more, you can switch between the screens to see more information like the weather forecast or calendar with your daily schedule. Also, the double-tap activates the lamp. 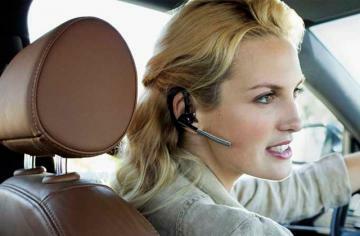 The app adds the support of basic voice-activated commands. Such as setting the alarm or showing the weather forecast. At the moment, the Reflexbox 2.0 works with English and Italian languages. Adding more languages is planned for the future updates. 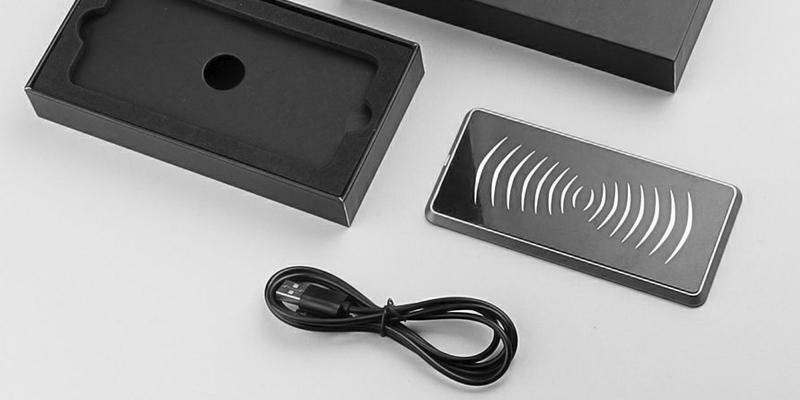 The charger doesn’t require electricity to reflect the light from your phone. 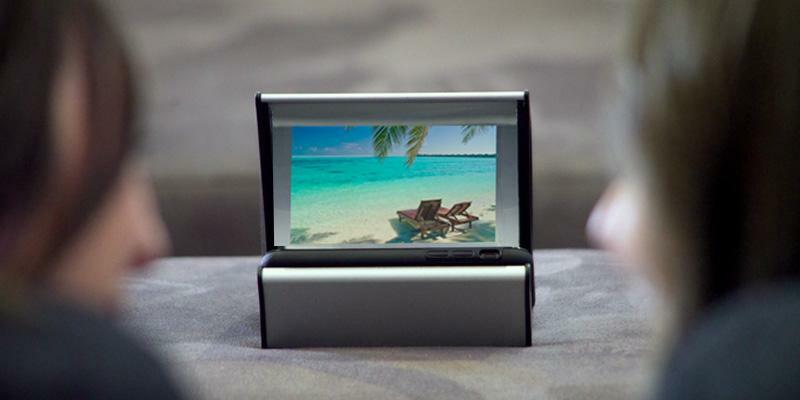 Thus, you can watch the movies or look through the photo gallery from your phone by placing it on a stand even without connecting it to a power source. Surprisingly, the light-reflecting surface is so good that the picture is clearly visible in daylight. The Reflexbox 2.0 is a follow-up model of the team’s less successful project, where the phone had to be placed face down on top of the charger. This made the risk of dropping or kicking your phone off the stand much higher. However, in the current design, a phone is located closer to the bottom. The reflecting surface is optimized for the smartphones with approximately 5" screens. Yet, the whole construction is designed to effectively hold a phone up to 5.7" (145 mm) long. You can charge even larger phones with it, although their edges will come out from the sides. Even if your phone doesn’t support the wireless recharge, you can choose an ultra-thin adapter with one of the three connectors of your choice: Micro USB type B, type C or the Lightning for iOS devices. The connector has a short flexible cord so that you could bend it and place the adapter under your phone’s case to hide it. The creators have already added the Fast Charge feature for Samsung smartphones like the Galaxy S7 and Note 5. The project has already met the minimum funding goals, and the ETA for the product delivery start is scheduled for the April 2017. The retail price is supposed to be around $85 (€80) for a single wireless charger with 1 included adapter. Currently, the Kickstarter campaign is still open. Therefore, you may still have time to get a discount for the future purchase by donating $60 (€55) or order a 2-in-1 bundle right away by pledging $108 (€100) or more.